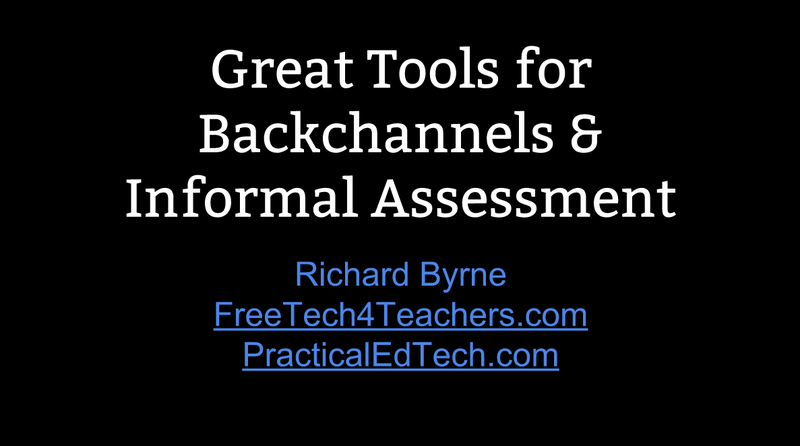 Yesterday at the NCTIES 2016 conference I hosted a three hour workshop on creating and using backchannels and informal assessments in the classroom. The tools that we used are featured in the slides below. Videos and the group's discussion posts are available on this Practical Ed Tech page.